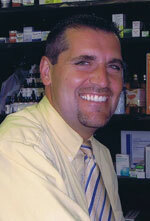 Union Prescription Center is an independent pharmacy that has been serving Mt. Morris and the surrounding areas for over 34 years. Our continued attention to your health care, our knowledge, experience and personal service has allowed us to become one of the most trusted and respected pharmacies in Genesee County. Union Prescription Center and Medical Supplies is a full service retail pharmacy that includes an entire department devoted solely to providing incomparable service to adult foster care and assisted living facilities. We have more than 20 years experience servicing adult foster care homes and assisted living facilities. We also offer a wide variety of services that cater to needs of retirement and community living. Free delivery, automatic monthly refills, monthly payment options and fast friendly service. If you are interested or have questions please contact us and ask for one of our knowledgeable Adult Foster Care Specialty Team Members. We have pharmacists and technicians on staff to answer questions and address concerns about your prescriptions. Visit us on Facebook - Give us a Like!